Philadelphia Weight Loss Are You Resisting Change? Motivational speakers and life coaches love to say things like, “You can write your own story. Now’s the time to make the change!” It sounds great, but if you are struggling with your eating, your exercise, whatever, you may question whether you can actually do it. Add depression and anxiety, and that saying sounds like a daunting task. I promise it doesn’t have to be. You may think, “I would love to ‘write my own story’ but I have been down that road. I better just accept the fact that I am going to be fighting my weight for the rest of my life.” Again, this doesn’t have to be the case. It is important to know that there is comfort in familiarity, and people’s struggles become part of their identities; in some cases, we can even get addicted to our struggles (I know, crazy right?!). For those who have been dieting for their entire adult lives, dieting is a part of who they are and there is a certain paradoxical comfort that comes with doing the same things you’ve been doing for years. Change, even good change, is scary. So even when people do want to make a change, they often try the same things that they have tried before out of comfort, even though they resulted in epic failures. So, if you do want to achieve a certain end result, and you have tried before and failed, this time try something different. I mean really different. And commit to it, without resistance. Change starts with being honest about and honoring what is truly working in your life. It also means being honest about and letting go of the things that aren’t. Let me give you a little story to think about. — Over the summer, I met a guy who told me he was about to start Atkins to lose 50 pounds. He then told me he knows that it works because he had done it four other times and lost 50 pounds each time. (Which he then gained back four times when his old habits resurfaced.) I thought to myself if it only works short term, can he really say “it works?” Is there anything in your life that you categorize as working that maybe needs to be recategorized? I am struggling with this too right now. I have gained weight since the summer. After a horrible flu-like illness, I developed really bad upper back and neck pain which kept me from sleeping for three nights. Then, I got really bad shoulder pain, probably from the way I slept on it, which, in addition to the lack of sleep, low mood (which happens like clockwork at the end of every summer), and my inability to work out, which is one of my favorite things to do, I, like many of us turned back to food. Yes, back to the comfort! (Yes, even doctors who support people to lose weight share the same struggles). So, am I destined to get to my desired level of leanness then gain so I am back to having to lose fat to get back to where I just was? (Again, there is a comfort level in that as I have been managing food issues most of my life.) I sure hope not. In my case, the issue is more psychological than anything else, and I work on it every day. And I have stopped the self-destructive behavior much sooner this time than I had in the past, so something is working. If you saw the pictures from last winter through summer, you can see that the self-sabotaging behavior went from August through February, so even though these last four weeks haven’t been smooth-sailing, there is a victory here. Everybody falls off the horse. The goal is not only to get back on the horse but to make sure that when you do you are going in the right direction. And if not, don’t be afraid to change course. Change doesn’t have to happen alone —and it’s more fun together. If you are interested in looking at your life and having someone to support you to determine what’s working and what’s not, I can help. We can make sure that the things you say are working, really are, and make small changes that fit into your lifestyle to create a new thriving path for you. Good news is, I have been there before and my passion is to support people on a road to healthy living. 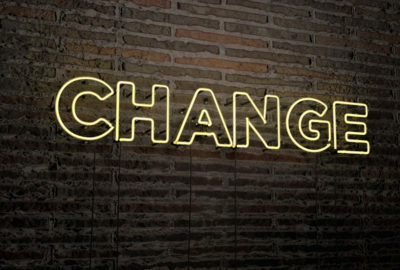 Change doesn’t have to be major to significantly improve your life; it really is just a matter of doing more of what’s working and less of what’s not. I invite you to contact me to talk more about this!